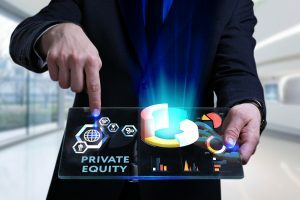 The Securities and Exchange Commission has, in recent months, been closely monitoring private equity and venture capital fund managers in order to identify conflicts of interest. The more investments a particular manager oversees, the more potential there is that he or she will encounter a conflict for two (or more) investments. An experienced San Jose corporate attorney can help your business enact practices which will help your fund managers identify and resolve conflicts of interest as early as possible. This will save your business the time and expense of administrative sanctions, SEC hearings, and civil liability – all of which are potential ramifications for any violation of the fiduciary duty of loyalty to act in the best interest of each fund a manager manages. When a venture capital or private equity funds manager engages in transactions closely related to the fund’s investors or portfolio companies, a potential conflict of interest is created. Common examples include co-investment, or when an investor, fund manager, or another one of the manager’s funds has the opportunity to invest in one of the fund’s portfolio companies under terms and conditions which are different from those of the initial investment. Co-investment can also present a problem when a fund manager has an investment opportunity which should be presented to two or more different funds and must determine which fund gets priority at a given time. Fund managers can also face conflicts of interest when divesting a fund of its assets. In such a case, many managers oversee other funds which would benefit from the purchase of the divested assets, but this would create a conflict between the interests of the selling fund (which must maximize the sales price) and the purchasing fund (which must minimize the sales price). When an affiliated transaction arises between a fund manager, its affiliates, the fund, or an individual investment, there is a potential that the fund manager will face a conflict between the interests of the initial fund investment and the affiliated transaction. The affiliated transaction must be carefully assessed for all potential sources of conflict. While individual managers must accept responsibility for avoiding conflicts of interest, their employers often may face civil liability for financial losses sustained by an investor as a result of a conflict of interest. Firms can mitigate this liability by enacting written policies for identifying and avoiding conflicts of interests. It is also important that someone within the firm assumes responsibility for administration and enforcement of these policies, including ensuring that employees of the firm or partnership are practicing these policies on a day-to-day basis. A conflict of interest can incur civil liability and administrative ethics violations for both investors, and the companies which employ them. Avoid errors by consulting with an experienced San Jose corporate attorney. The skilled corporate attorneys at Structure Law Group have extensive experience in financial conflicts of interest and can help your company enact measures to effectively mitigate the risks associated with them. Call (408) 441-7500 or email slgadmin@structurelaw.com to schedule your consultation with an experienced San Jose corporate attorney.